9780415807531 | Routledge, November 30, 2012, cover price $135.00 | About this edition: For over a half century, Anthony Downsâs spatial model of ideologically structured party competition, articulated in An Economic Theory of Democracy, has been deeply embedded in the logic of American political science. 9780415807548 | Routledge, April 15, 2012, cover price $31.95 | About this edition: For over a half century, Anthony Downsâs spatial model of ideologically structured party competition, articulated in An Economic Theory of Democracy, has been deeply embedded in the logic of American political science. 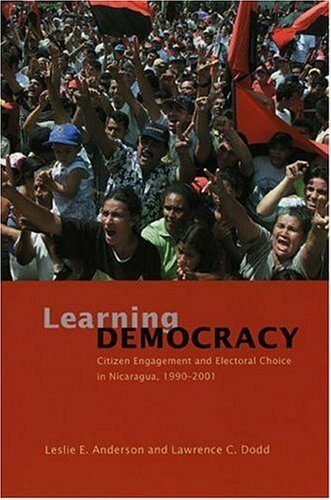 9780226019710 | Univ of Chicago Pr, May 9, 2005, cover price $87.00 | About this edition: Historically, Nicaragua has been mired in poverty and political conflict, yet the country has become a model for the successful emergence of democracy in a developing nation. 9780226019727 | Univ of Chicago Pr, May 9, 2005, cover price $32.00 | About this edition: Historically, Nicaragua has been mired in poverty and political conflict, yet the country has become a model for the successful emergence of democracy in a developing nation. 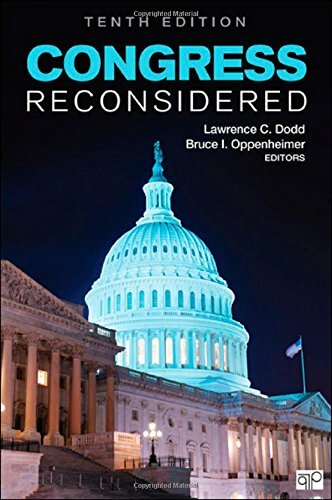 9780872896161 | 9 edition (Cq Pr, December 19, 2008), cover price $66.00 | About this edition: Always a classic, Dodd and Oppenheimer's Congress Reconsidered is the recognized source for in-depth, cutting-edge scholarship on Congress geared to undergraduates. 9781568028590 | 8 edition (Cq Pr, December 30, 2004), cover price $59.95 | About this edition: Dodd (U. 9781568024875 | 7 ed edition (Cq Pr, December 1, 2000), cover price $49.95 | About this edition: The seventh edition maintains the classic format that has made Congress Reconsidered such an effective text for classroom use as well as an effective research tool. 9781568022031 | 6th edition (Cq Pr, June 1, 1997), cover price $39.95 | About this edition: Eighteen original essays by leading scholars offer a cutting edge perspective on change in the modern Congress. 9780871877123 | 5th edition (Cq Pr, January 1, 1993), cover price $28.95 | About this edition: Always a classic, Dodd and Oppenheimer's Congress Reconsidered is the recognized source for in-depth, cutting-edge scholarship on Congress geared to undergraduates. 9780813317113 | Westview Pr, January 1, 1994, cover price $68.50 | About this edition: This book offers a comprehensive assessment of the major theoretical approaches to the study of American politics. 9780691075648 | Princeton Univ Pr, June 1, 1976, cover price $47.50 | About this edition: For eighty years, students of parliamentary democracy have argued that durable cabinets require majority party government. 9780023076916, titled "Skills for Preschool Teachers" | 5th edition (Prentice Hall, June 1, 1995), cover price $34.00 | also contains Skills for Preschool Teachers | About this edition: For over two decades, Skills for Preschool Teachers has prepared teachers, teaching assistants, college students, classroom volunteers, and CDA candidates to work with children three-to-five years of age in preschools, center-based child care, Head Starts, and pre-kindergartens.